The last thing that anyone ever wants to do is look for hospice care in San Antonio, Texas. However, passing on is a fact of life. For this reason, if you have a loved one going through a terminal condition or requires hospice care, it is important to take your time to find the perfect one for them. This is because every hospice agency is different and they all provide different kinds of services, suited for different types of conditions. When you are looking for an end of life care for a loved one, you will want to provide them with the best care possible. However, there are many different agencies out there and not all of them are suitable for your loved one. To make sure that you are getting the best care, you will want to read reviews online. These reviews go in-depth on the kind of care your loved one will receive, which can help you decide if they are right or not. Depending on the illness or health condition that your loved one is battling, it is important to find hospice care that specializes in that form of treatment. For example, if your loved one has dementia or cancer, then you will want to find hospice care that can provide personalized support for those particular conditions. Depending on the needs of your loved one, it is a good idea to find hospice care that can accommodate them at their convenience. You can either move your loved one into a hospice facility or you can have the hospice care brought to them in the comfort of home. Depending on their wishes, it is important to find an agency that can provide those kinds of services. Those are just a few of the many factors to consider when you are looking for the best hospice care for your loved one. 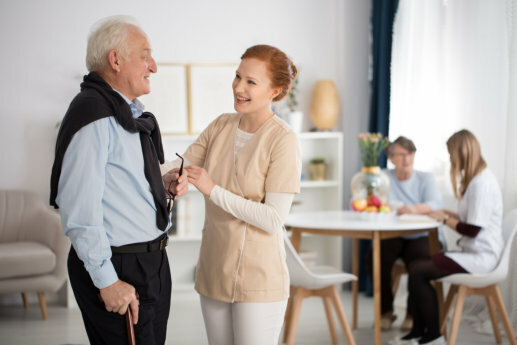 If you are interested in learning more about finding superb hospice care or about our senior care in San Antonio, Texas, please do not hesitate to get in touch with Four Seasons Hospice for more information anytime. This entry was posted in Hopsice Care and tagged health condition, hospice agency, illness. Bookmark the permalink.